CityTalk | Reducing Emissions from the Transport Sector: Still a Forgotten Issue in Global Negotiations? Reducing Emissions from the Transport Sector: Still a Forgotten Issue in Global Negotiations? Transport represents 26 percent of global CO2 emissions, and this sector is one of the few where emissions are still growing. Last May, at the International Transport Forum in Leipzig, the United Nations Secretary Ban Ki-moon asked transport ministers from around the globe to intensify their efforts in the fight against climate change and to find greener solutions to prevent climate change. Despite its importance, transport has been marginalized in every climate agreement, with no objective measurement of its global environmental footprint. An adequate carbon policy is required to drive energy efficiency and a shift to lower carbon fuels is required to deliver an ambitious EU 2030 climate strategy. However, it is not only about CO2: transport also generates a lot of negative externalities, such as noise, congestion, and pollution. Existing policies that deal with emissions from the transport sector go some way to meeting reduction targets, even though they are still not enough to meet 2020 and 2030 targets. Until now, taxation measures (for example, the fuel tax) have been one of the most recurrent measures to reduce emissions. Some policy makers argue that existing transport policies seem to have a positive impact on reducing emissions. According to this vision, the solution is to continue developing specific regulation concerning transport (for example, by increasing fuel efficiency standards). However, organizations such as the World Wildlife Fund (WWF) foresee some negative impacts: “the problems on allocation and ownership of emissions, market distortions and price impacts, the unlikely direct emissions reductions in the transport sector” (WWF, 2008). Taxation measures can be only a short-term solution. Fuel taxes depend on oil prices. Therefore, while the inclusion of transport in global negotiations may be more expensive in the short term, it will be more effective in reducing emissions. This advantage has been frequently overlooked in the debates. As the policy becomes advantageous only in the long-term, it has been rejected in all global negotiations. 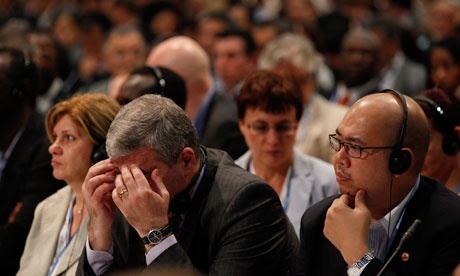 However, the marginalization of transport in climate change negotiations seems to be changing. Reducing carbon-heavy transport is increasingly discussed as the COP21 approaches. Pressure is growing to tackle climate change with transport policies, and the transport sector represents a great opportunity for reducing emissions. Nevertheless, the diverse stakeholders and issues make this a complex issue, with no simple solution.